Currently the voluntary Workshop Directors are Dr Robyn Leake, Prof Yee Leung and Clin Assoc Prof Krish Karthigasu. Their dedication and support is both incredible and highly appreciated by participants, facilitators and Taylor-Hammond Research Scholarship recipients alike. Dr Robyn Leake is a Western Australian medical graduate who trained in O & G in Perth and Geelong. She works in private gynaecological practice in Perth and is the visiting gynaecologist to the northern Goldfields of WA. 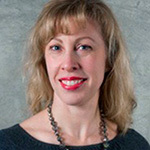 She has been involved in the workshop since its inception and has recently become co-director. 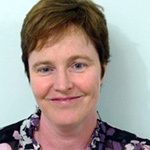 She is a member of the Australian Gynaecologic Endoscopy Society (AGES), the International Urogynaecology Association (IUGA) and the Australian and New Zealand Vulvovaginal Society. Clin Assoc Prof Krish Karthigasu is a Western Australian medical graduate who trained in O&G in Perth, England and Melbourne. Krish completed a two year fellowship in advanced laparoscopic surgery at the Sydney Women’s Endosurgery Centre (SWEC) and the Centre for Advanced Reproductive Endosurgery (CARE). He now works as a Consultant Gynaecologist and Gynaecological Laparoscopic Surgeon at King Edward Memorial Hospital in the Endoscopy unit, and in private practice. 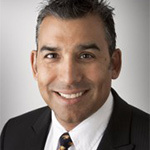 He is a Clinical Associate Professor of Gynaecology at the University of Western Australia, Examiner and Training Supervisor for the RANZCOG and is on the Basic Surgical Skills Working Committee for the RANZCOG. Krish has particular interests in pelvic reconstructive surgery, endometriosis and the endoscopic management of menstrual disorders. He is a member of AGES, American Association of Gynecology Laparoscopy (AAGL) and IUGA. 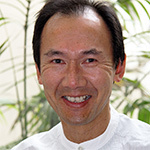 Prof Yee Leung recruited in 2011 as the inaugural Professor in Gynaecologic Oncology in Western Australia, is the head of Department of the Western Australian Gynaecologic Cancer Service and Director of Surgical Education at King Edward Memorial Hospital. He is actively involved in RANZCOG as a Board member from 2016, and previously as a Councillor from 2011, and Gynaecologic Oncology Subspecialty Committee. He is chairman of the Gynaecological Oncology Subspecialty Committee and is a member of the Education Strategy and Assessment Committee, Women’s Health Committee and Honours Committee. He is also involved in Cancer Australia as a member of the Gynaecological Cancers Advisory Group. He is the Honorary Primate Gynaecologist for Perth Zoo. Yee’s research interests include Gynaecological Oncology clinical trials, basic and epidemiological research. He obtained ethical approval to commence a gynaecological cancer biospecimen bank for the WA Gynaecological Cancer Research Initiative. Yee is an enthusiastic teacher and has a special interest in teaching in the operating room. He was the developer and facilitator of the Multidisciplinary Laparoscopy Group meetings in WA and the Perth Total Laparoscopic Hysterectomy Masterclass. He actively promotes the “rules” that improve the execution of a surgical skill. Laura Radovan works part-time coordinating the successful delivery of the Anatomy of Complications Workshop series (standard and laparoscopic). Passionate about marketing and communications, she has worked in the field for over fifteen years in both Sydney and Perth. Most recently she was Marketing and Communications Officer at The University of Western Australia and External Communications Manager at IKEA. Originally Laura trained as a diagnostic radiographer at The University of Sydney, and has worked in allied health in Australia and the United Kingdom.